Six of Shufu’s kata athletes will be competing in the Kata World Championships, to be held in Cancun, Mexico on October 15 – 16. The Shufu International Kata Team of Diane Tamai Jackson and Karl Tamai (Ju no Kata), Rob Gouthro and Lisa Capriotti (Kime no Kata), and Wayne Lifshitz and Monty Burton (Goshin Jitsu), will be vying for the highest competitive kata honors in the world, along with seven other teams from across the United States. Theo Schwalm, a Shufu member who lives in Texas, and a national and international kata competitor himself, will be the team manager. The six judoka from Shufu also made news last April when they brought home 3 Golds, 1 Silver, and 1 Bronze from the 2018 Pan American Championships in Costa Rica. A total of 22 nations from 5 continents will be represented in Cancun, and a total of ten U.S. teams will be competing. Check out the roster here. Best of luck to all of the U.S. athletes next week. 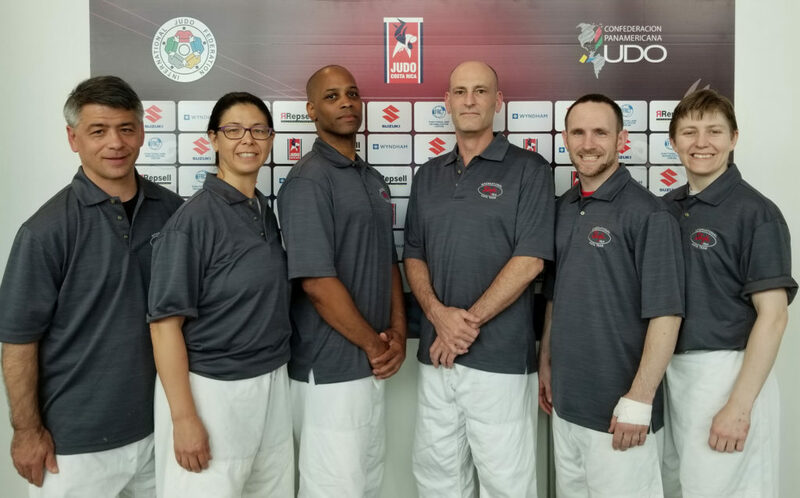 These men and women have dedicated years of training to attain this level of expertise; we should be proud of them and realize how fortunate we are to have such an incredible judo resource here in Shufu.